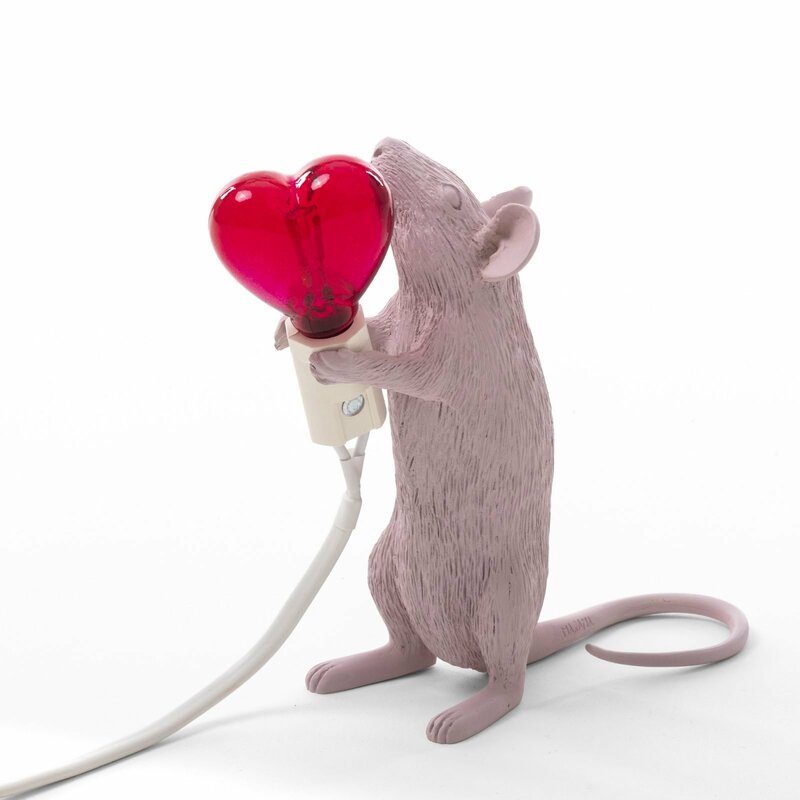 A perfect gift for the design lover in your life. 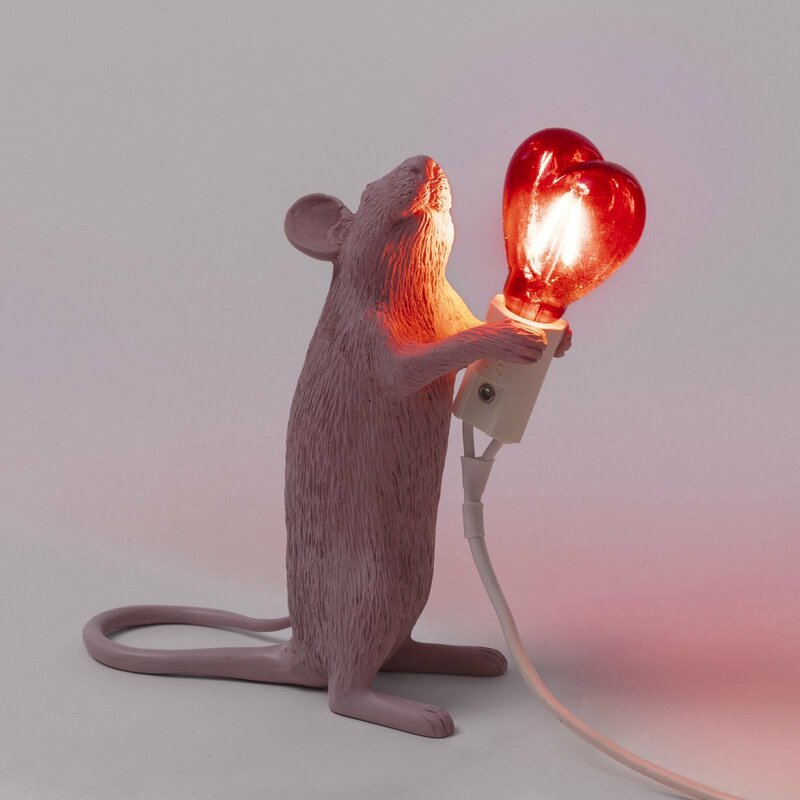 Bringing a romantic twist to the popular animal lamp series, the Mouse Lamp Love Edition transforms the creative design into a heartwarming sculpture. 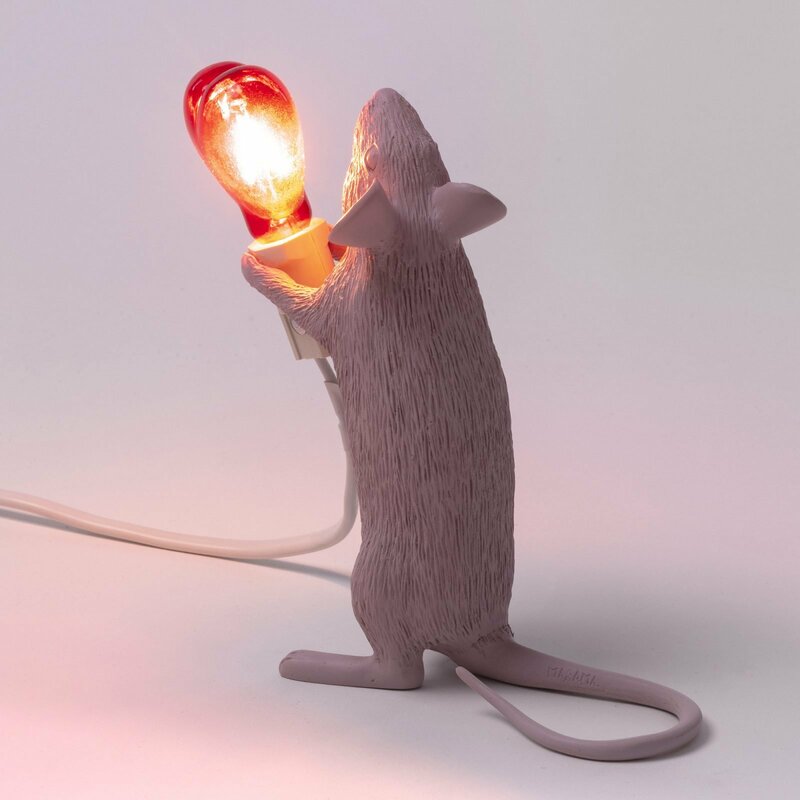 Designed by Marcantonio Raimondi Malerba for Seletti, the lamp complements its realistic design with playfulness. 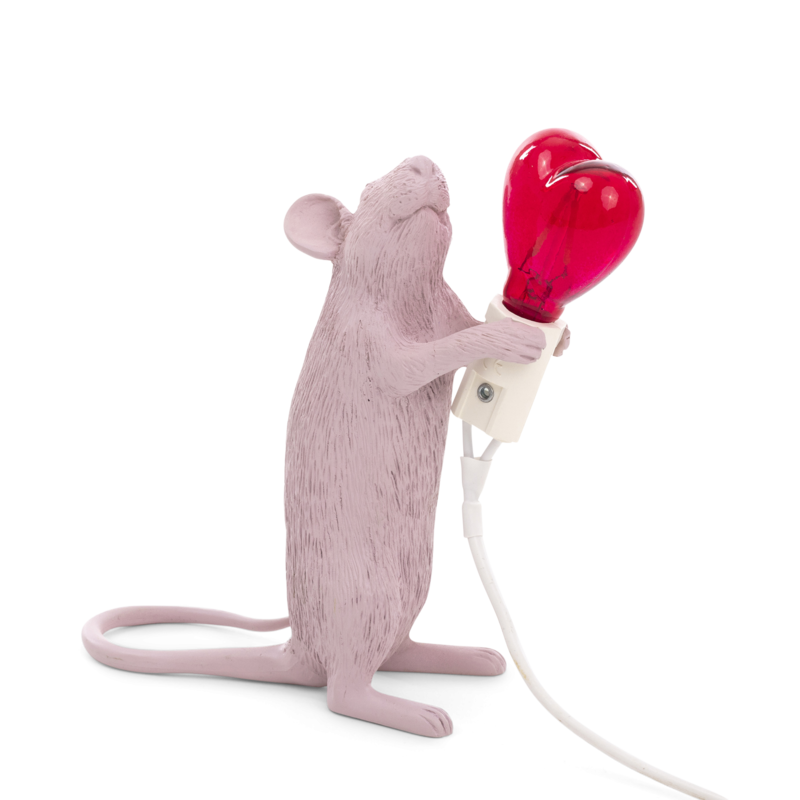 The resin mouse returns, but now it holds a bright red heart-shaped light. 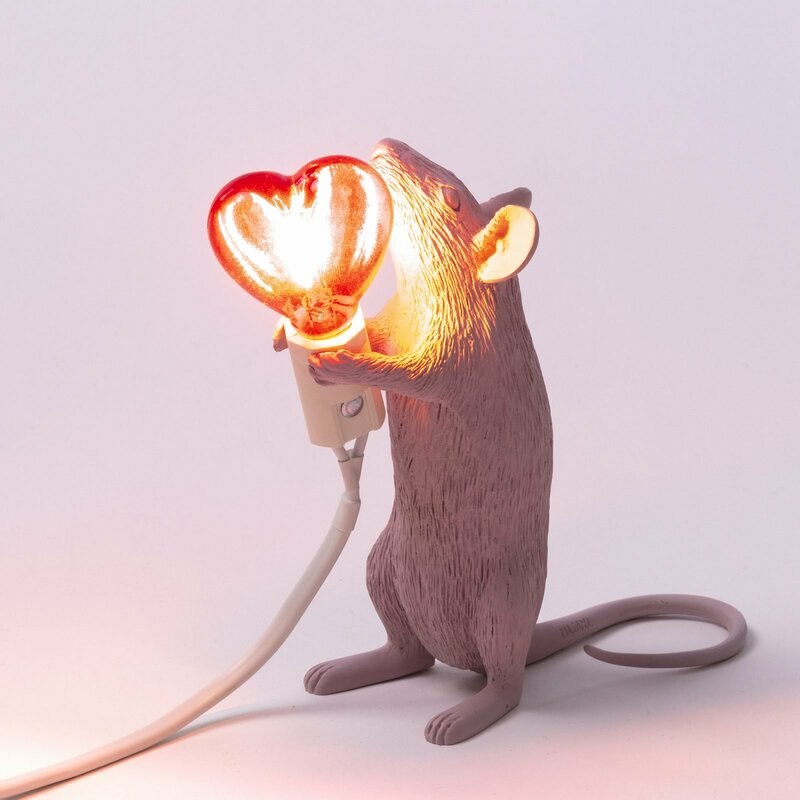 Whether turned off or in use, this designer table lamp looks like a work of modern art. 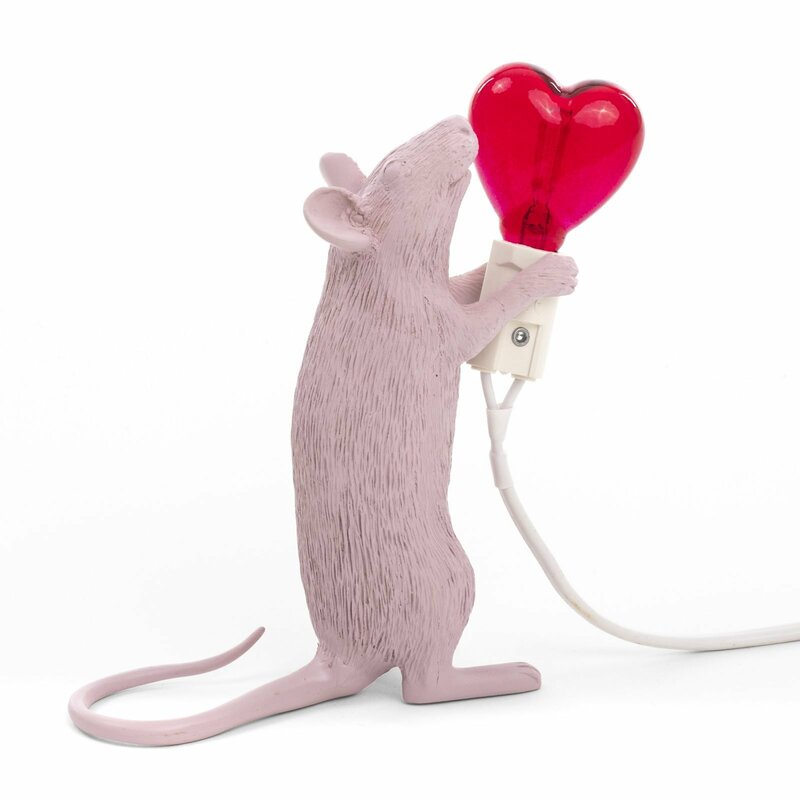 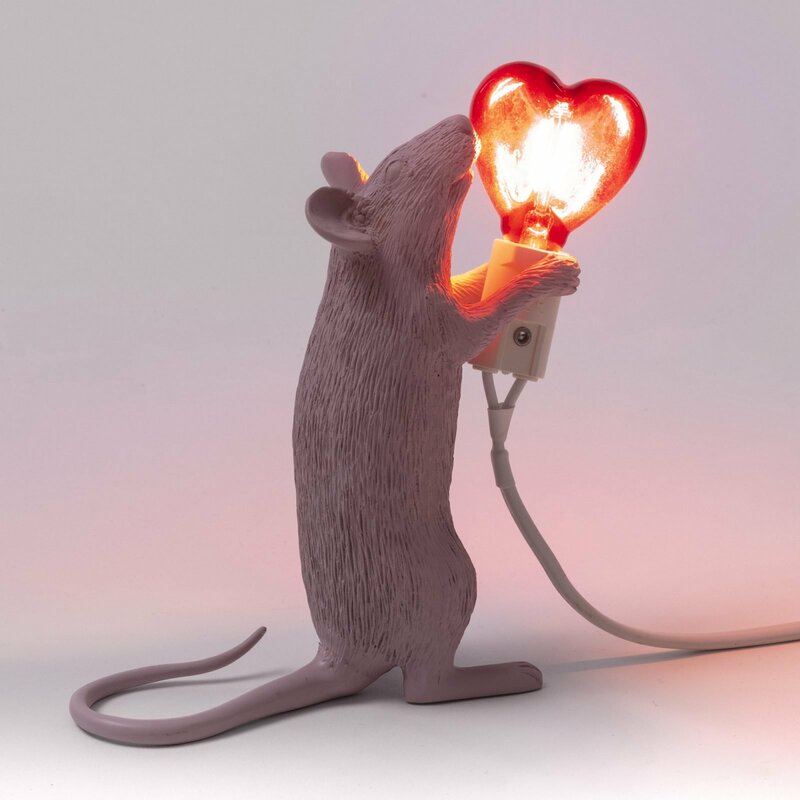 Ideal for Valentine’s Day, anniversaries, special occasions, and unconventional love letters, the Mouse Lamp Love Edition would also work extremely well as a centerpiece among the other animal lamps from the series.